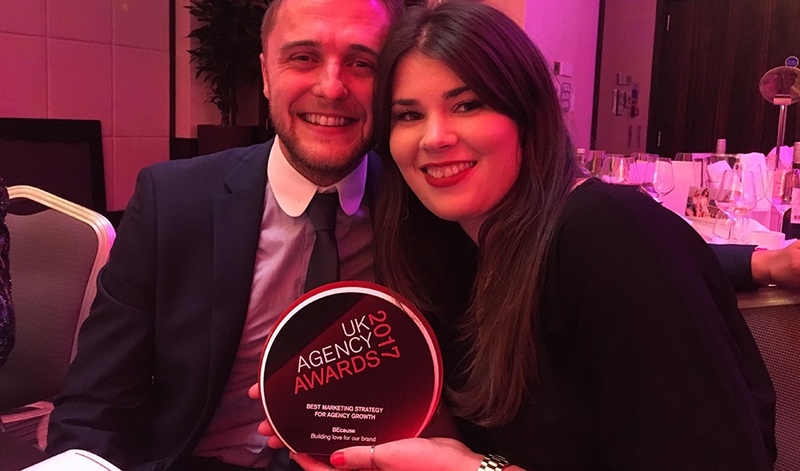 We're chuffed to announce that we've won a 2017 UK Agency Award - two years running! 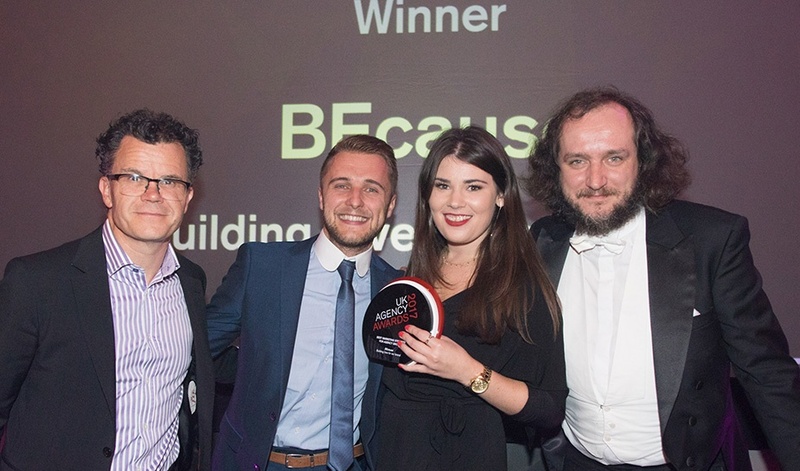 We've picked up the trophy for Best Marketing Strategy for Agency Growth at the Awards ceremony last night at Montcalm Marble Arch. The Best Marketing Strategy for Agency Growth recognises an agency that has implemented a marketing strategy that has delivered an outstanding level of growth and new business wins. We were also shortlisted in the Best Event category for our monthly VR & experiential masterclasses, which recognises an outstanding event that has successfully raised awareness for an agency. In 2016, we took home the awards for Best Event (for our masterclass) and for Best Content Marketing (for our website).